ABB will invest A$210 million to build the world’s most advanced, automated and flexible robotics factory in Shanghai. It will feature a number of machine learning, digital and collaborative solutions to make it the most advanced, automated and flexible factory in the robotics industry, with an onsite R&D centre to help accelerate innovations in artificial intelligence. ABB said the factory will use a new global design approach to dramatically increase both the breadth (type of robots) and depth (variants of each type) of robots that can be made onsite, allowing greater and faster customization to meet the needs of customers. According to the company, the entire Shanghai factory will be modeled as a digital twin, which will provide intuitively tailored dashboards for management, engineers, operators and maintenance experts to make the best decisions. “This includes gathering and analysing intelligence through ABB Ability Connected Services on the health and performance of ABB robots in the factory to ensure early identification of potential anomalies,” ABB said in a statement. 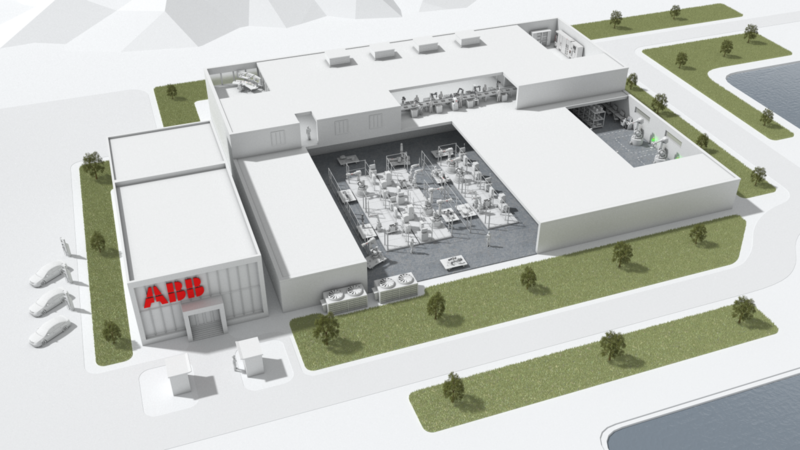 Per Vegard Nerseth, Managing Director of ABB’s Robotics business, said the new factory will have an innovative, flexible floorplan based on interlinked islands of automation rather than fixed assembly lines. According to him, this will allow production to adapt and scale efficiently to changes in China’s robot market without additional capacity expansions. “There’s a large shift away from looking at factory size and CAPEX investments as the way to meet future demand,” Mr Nerseth continued. The new factory is expected to begin operating by the end of 2020.